I recently took a trip to Singapore, which is such a beautiful and unique place to visit. Not only do they have miles and miles of gorgeous coastline, but the city features a blended culture that’s ahead of its time. 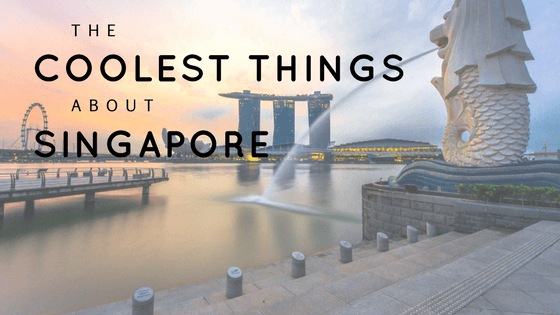 With many official languages, national holidays that span many religions, and futuristic architecture, Singapore is a cool culture that you won’t find anywhere else in the world. If you’re into fashion, then you know that London, Paris, New York, and Milan each have fashion weeks that show off the latest and greatest on the runways. However, the only way you’ll get access to these events is if you’re a designer, a buyer, a model, a celebrity, or a journalist in the entertainment industry. Unlike the rest of the world, Singapore Fashion Week sells tickets to the public, so fashion bloggers and lovers alike can get access to runway looks galore. This year’s event starts on October 26, so book your trip now if you’re interested! 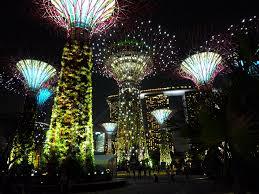 If you take a trip to the breathtaking Gardens by the Bay, you’ll come across a set of 18 man-made “trees” known as the Supertree Grove. These vertical gardens covered in grasses and flowers soak up the sun’s rays during the day, then use that energy to create a spectacle of a light show at night. The best part is that admission is free! If you’re the kind of person that craves conversation, then you and the taxi drivers of Singapore will get along quite nicely. Many of their taxi drivers are quite chatty and will talk to you about anything ranging from what country you’re from to what events are happening around town. 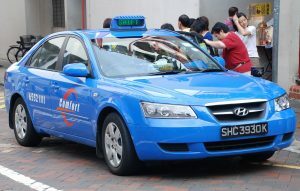 Speaking of taxi drivers making your trip pleasurable, getting a ride anywhere in Singapore is easy. 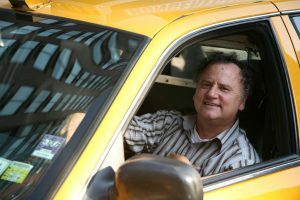 With close to 30,000 official taxis in a city-state that’s relatively small (it’s only 277.6 square miles), finding a ride can be quick, easy, and cheap! You’ve Heard of a Safari, But What About a Night Safari? 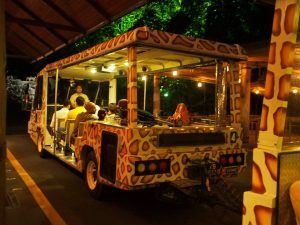 The world’s first nocturnal safari park opened in Singapore in 1994. Why have a nocturnal safari park? So onlookers will have the opportunity to see nocturnal animals like wallabies and tigers in their natural state! The park features six different tram rides that will take you across all the geographical zones of the world, and has four walking trails that each feature a different animal. The park opens at 7:15 p.m. and closes at midnight. Quite a few buildings in Singapore are known for their peculiar but fascinating architecture. 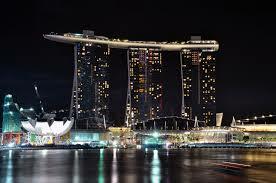 For example, the Marina Bay Sands Resort is known as the “stranded surfboard,” considering it’s three main buildings are connected by a structure that looks like a surfboard. The Henderson Wave, a walking trail that links Singapore’s hills, ridges, and parks, features wave-like architecture that leads your eyes up and down the natural flora and fauna of the city.